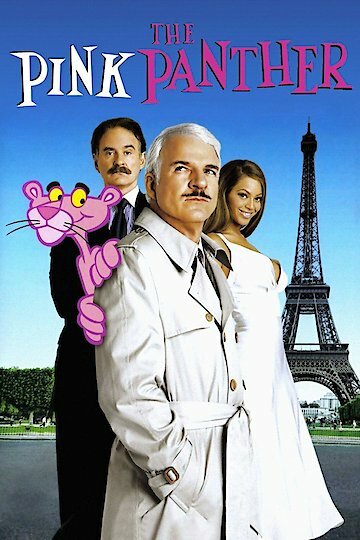 The Pink Panther is an adventure comedy crime that was released in 2006. It was directed by Shawn Levy, and it was written by Len Blum and Steve Martin. The film stars Steve Martin as Jacques Clouseau, and Kevin Kline as Charles Dreyfus. The supporting cast consists of Jean Reno, Emily Mortimer, Henry Czerny, and Beyonce Knowles. The movie opens up with Charles Dreyfus (Chief Inspector) narrating events that took place at a soccer match. The head coach of the French team was shown wearing the Pink Panther ring, and then was shown talking to his music star girlfriend, Xania. Then, after the French team wins the game, the head coach dies and the ring is missing. To solve the case, Charles Dreyfus puts Jacques Clouseau on it. Inspector Clouseau is not the brightest person, and is seen to be an idiot. In the next scene, the Chief Inspector puts together a team that will secretly handle the case. This is all done behind Clouseau's back; as he will only serve as the figurehead for the case. The Chief Inspector also hires someone to follow Clouseau and keep tabs on him. As the investigation begins, the lead suspect is killed. Then, after a series of mishaps, Clouseau begins to follow Xania. He thinks she is not as innocent as she acts. As Clouseau gets deeper into the case, Dreyfus has to put more obstacles in his way. For instance, he makes sure his bags get switched at the airport so he gets arrested. When Clouseau gets back to France, Dreyfus takes him off the case. He condemns him for trying so hard to solve the case. Next, Dreyfus takes information given to him by Clouseau to make his next move. It is up to Clouseau to continue to solve the case, and to make sure that no one else gets killed. The Pink Panther is currently available to watch and stream, download, buy on demand at Starz, Amazon, Vudu, Google Play, iTunes, YouTube VOD online.